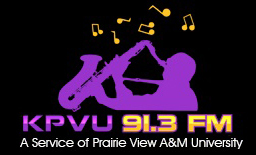 The Membership Campaign is one of the key areas to help KPVU 91.3FM sustain funding throughout the year. KPVU’s Development Office is responsible for producing several week-long fundraising events during the year to invite and appeal to individuals, organizations and businesses toward becoming regular contributors and sustainers of this member-supported station. Employee matching gift program opportunities are encouraged to enhance donor contributions and level of support. The campaign features live, on-air donor appeals from the staff and special studio guests, as well as national on-air public radio support. The event utilizes volunteers to help answer the phones and take pledges for public radio, as well as various other campaign operation duties. Contests are conducted during the Membership Campaign for the most volunteer hours for groups and individuals. Contests and prizes are also awarded to donors and organizations pledging the most financial support. Businesses, organizations and/or individuals wishing to donate tax-deductible, packaged items to encourage donor support, i.e., gift certificates, sports memorabilia, electronics, amusement & attraction items, specialty merchandise, etc., etc. should contact the KPVU Development Office for donation specifics. KPVU also relies upon support from area-restaurateurs to donate meals throughout the campaign to help feed volunteers and staff during the events. In addition to receiving a tax write-off for the in-kind donation(s), contributors also receive on-air acknowledgments when their campaign items are presented. For additional information and/or areas of support regarding the Membership Campaign, please contact the KPVU Development office at 936.261.3756.